batteries, so we'll go with a pair of deep-cycle batteries. The basic locomotive is 16 inches wide and about 7 feet long. 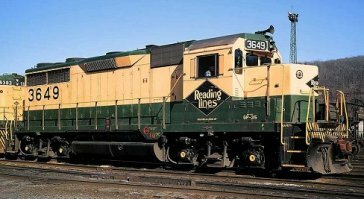 always like the Reading GP35's. 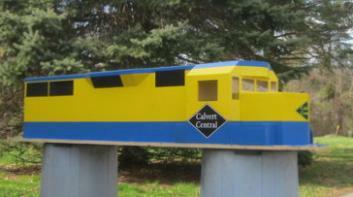 So we will make it a GP35 in a paint scheme similar to the Reading's but in Calvert Central colors. of the cab and short hood I used a G scale GP40 to make measurements.